This unit is located in a 6 unit building and has assigned parking, shared garden with deck and BBQ. The unit was remodeled a few years ago. 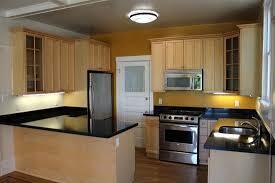 The kitchen has granite counters, stainless appliances, breakfast bar. The living, dining and kitchen are in one large space, great for entertaining. The remodeled, marble bath has a deep tub and glass shower screen. Low dues make this the perfect Russian Hill unit. Photos and website coming the end of August.